American Beauty School opened more than 50 years ago, and was built on a foundation of diversity, success, and innovation. Through decades of work, we have been cultivating our curriculum and values through exploration and creativity. We have strived to create an educational experience that prepares cosmetologists and estheticians for challenges they may face in the beauty industry. Our graduates have been highly regarded by salon and spa owners in the New York City area, and our grads have gone on to create their own success in personal businesses or premiere venues. Our students are lifted up by a large alumni base and experienced, passionate teachers. We aim to support them from the day that they step through our doors and throughout their beautiful careers. 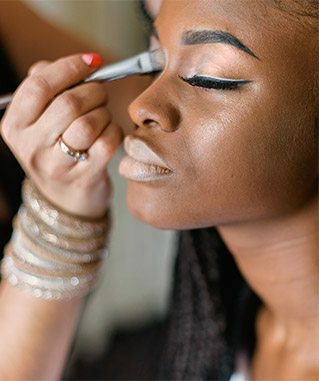 An education at American Beauty School can be the sturdy foundation you are looking for to follow your passions. A career in beauty is closer than you think. It starts at American Beauty School. Do you long to create a future full of glowing faces? Esthetics might be for you. Click here to learn more about our program. The program is offered in English and Spanish. Are you passionate about hair? Do you love the beauty industry? Consider cosmetology! Click here to learn more about our program. We offer programs in English and Spanish! Do you have a passion for beauty? Click here to learn more at our beauty blog! We update our blog with best practices from the industry, tips, and events from the school.